Maybe I should have posted this blog 14 hours earlier. This superstitious transition originated in the early 1900’s and was practiced by the likes of Franklin Delano Roosevelt and Gilda Radner. I’ve only managed to accomplish “rabbit rabbit” effectively once and cannot remember if March was a particularly fruitful month. But here we are, standing on the precipice of Spring, about to jump into the luxuriously lazy river of Summer. So let the good times flow. My summer is starting off HOT HOT HOT. Texas hot, to be exact. On June 12th, Bobby* and I will be flying to Austin for BBQ, music, bats and beer. I’ve heard so many good things from Austin visitors that by the time Toby and Amy decided to move back to TX, my Google searches consisted exclusively of Austin rental houses and Top Ten lists. 1. 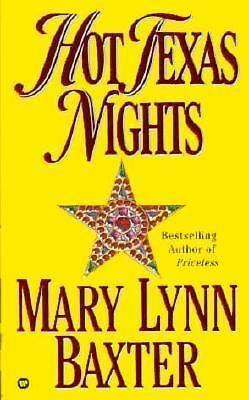 Started reading Hot Texas Nights, a 1990’s romance mystery that takes places in Austin. With such powerful literary reviews, I just had to pick it up. 2. Asked my recently Austin-bound friends of places to go, things to see, and BBQ to eat which brings me to Katelyn’s Top Ten Things to Do in Austin From a Girl Who’s Never Been. Hill Country Wineries- I’m assuming to consume wine. 6th Street- “Dirty Sixth” where the drinks are strong and the memories are weak. Rainey Street- Streets of houses that they have gutted and turned into bars. Adorable and hipster positive way. Barton Springs (in Zilker Park)- great swimming hole with picnic-ing outside the park. Daytime funtime. Congress Bridge at dusk- 1.5 million Mexican Free-Tailed Bats emerge into the night in a flurry. Uncommon Objects- A fun shops on South Congress, this shop have antique photos and other funky stuff. Red River-famous Barbecue and Music place with Austin-famous food trucks. Eat BBQ-At any of the following places: Franklins, Salt Lick, Stubbs, Country Line etc. Be prepared for long waits. Amy’s Ice Cream- enough said. For anyone who has been to Austin, I’m very open to suggestions. Update to list coming soon. And just remember, even if you forgot “rabbit rabbit” and your June is doomed with bad fortune and missed opportunities, there’s always July. *Names have been changed for humorous and completely unnecessary purposes.